Softball ended its four-game skid following weekend doubleheaders and is looking to finish the season on a high note. 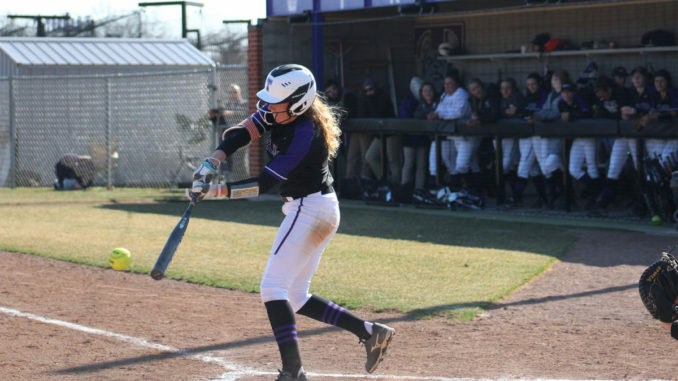 Over the weekend, the Truman State University softball team hosted two conference doubleheaders against the Maryville University Saints and University of Missouri-St. Louis Tritons. The Bulldogs opened the weekend Friday with a 6-0 loss to the Maryville Saints, extending their losing streak to four games, their longest of the season. After stranding five runners on base in the first contest, the Bulldogs’ bats came alive early in the second game of the day, scoring in the first, second and third innings to jump to an early 3-0 lead. The team would hold onto that lead to escape with the victory 3-1. 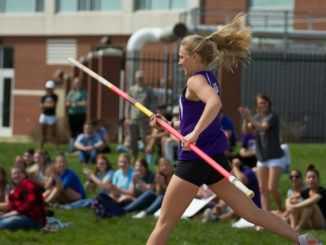 Looking to build on their momentum, the ’Dogs welcomed the Tritons to Kirksville. After walking in a run in the first inning of the early game, the Bulldog defense tightened and held off UMSL en route to a 2-1 victory. The second game of Saturday’s doubleheader capped off the weekend in dramatic fashion. With the game tied 2-2 in the bottom of the seventh inning, the Bulldogs loaded the bases with left fielder Emma Walbert on third and second baseman Brooke VunCannon at the plate. VunCannon lasered a single past the shortstop to score Walbert and secure the walkoff win, the 19th of the 2019 campaign. This doubleheader also marked Truman’s first sweep of the Tritons since 2011. Head coach Erin Brown said it is important for her team to play with a sense of urgency after the sweep and hold themselves to a higher standard when faced with adverse situations, especially with the conference tournament looming around the corner. The softball team will open this week with their military appreciation game at 2 p.m. today against Lincoln University, followed by the annual breast cancer awareness game at noon on Saturday against the University of Illinois Springfield. They will finish off the week at noon on Sunday, again at home, against McKendree.